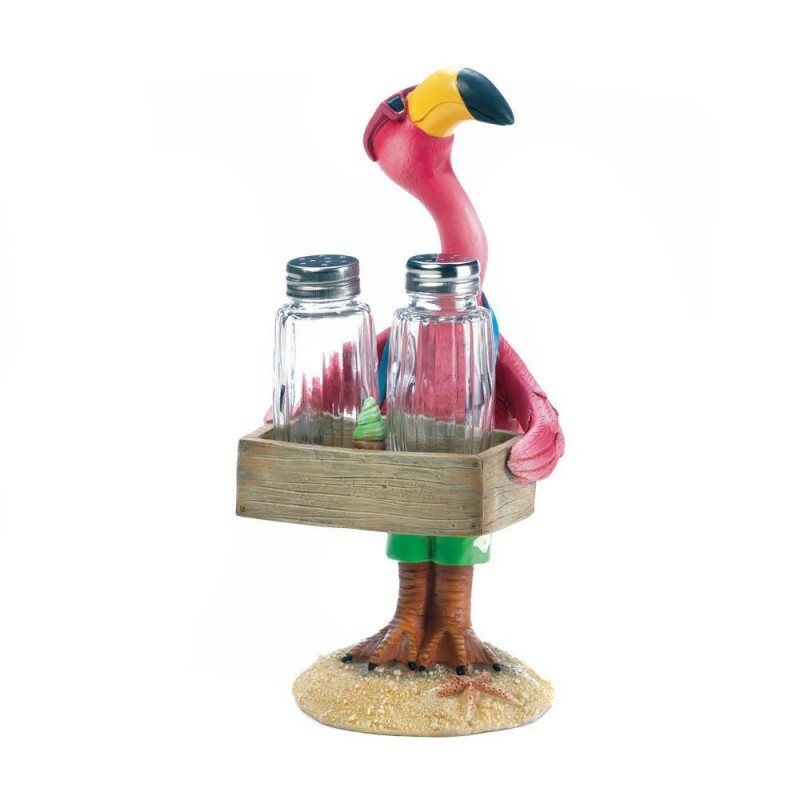 Serve up salt and pepper with a little bit of tropical whimsy when you set this on your table. A fun little flamingo in board shorts and sunglasses stands on the beach with a box containing classic salt and pepper shakers. 5.5" x 4.5" x 9.5". Polyresin Powder Stone, Glass, Stainless Steel.